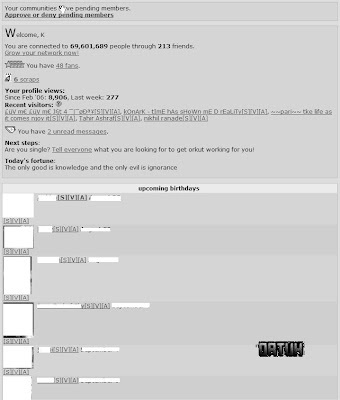 Blakut: [PIC] Remember Orkut's Old Design? [PIC] Remember Orkut's Old Design? 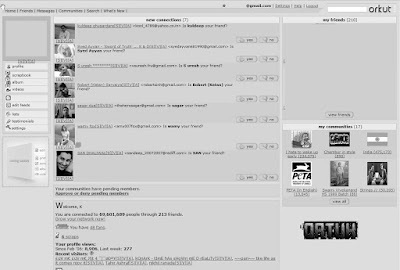 Do you still remember how the Old Orkut looked like? I didn't want to forget how it used to look before, because it has some great memories. So I managed to take a few screenshots one day before the new design was rolled out in August 2007. I tried to search for more Old design pictures but they cannot even be found in the Official Orkut Blog which was just launched in June 2007. After extensive digging in my hard drive I found these images. It is amazing where Orkut has come in just one year and most of all those days when we used to find hacks for this website. What Orkut is right now, is because of everybody's effort, struggle and fight to connect with each other. So I would really like to thank the Orkut Team to make this wonderful website. If you happen to have any more screenshots..Email me. I would update them here and give you credits.